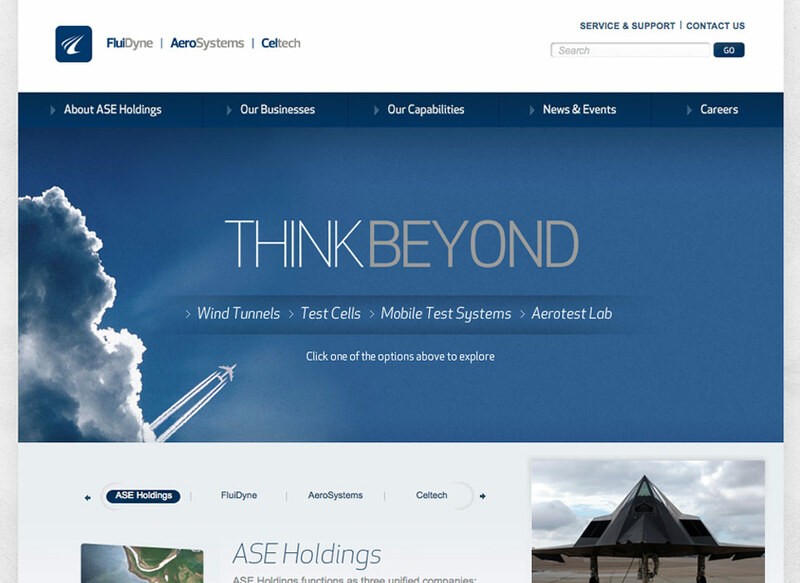 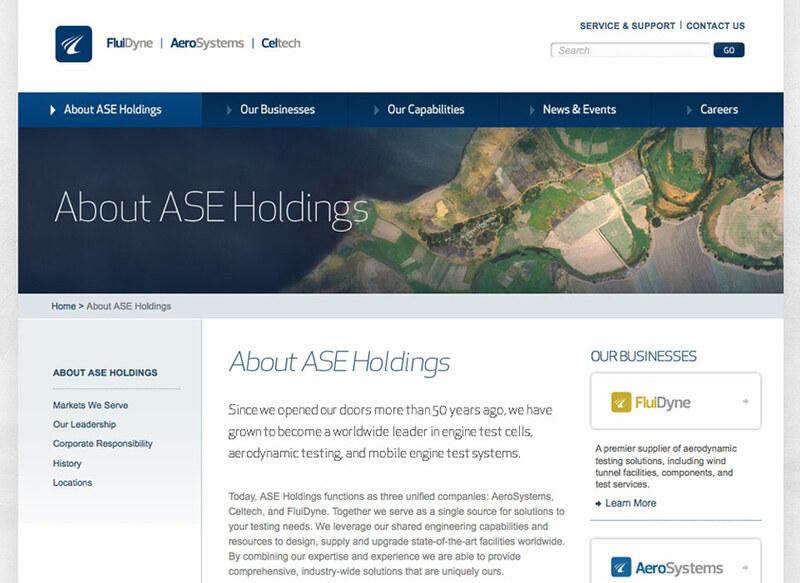 ASE Holdings (ASE) is a world leader in engine test cells, aerodynamic testing and mobile engine test systems. 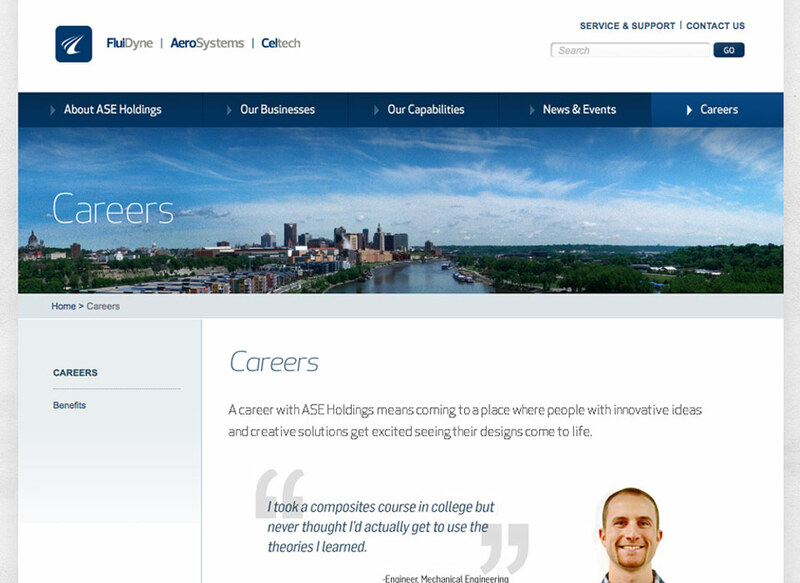 When we completed the work on the new brand positioning and identity, it was time to redesign their website. 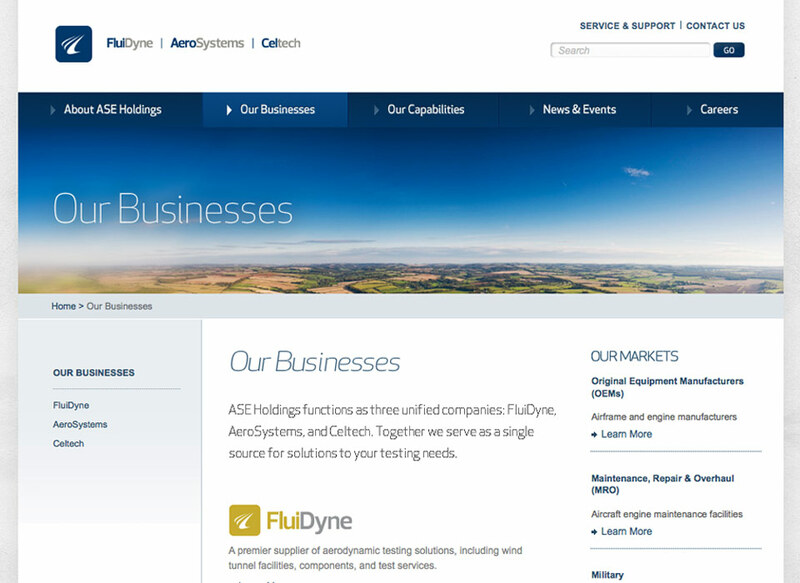 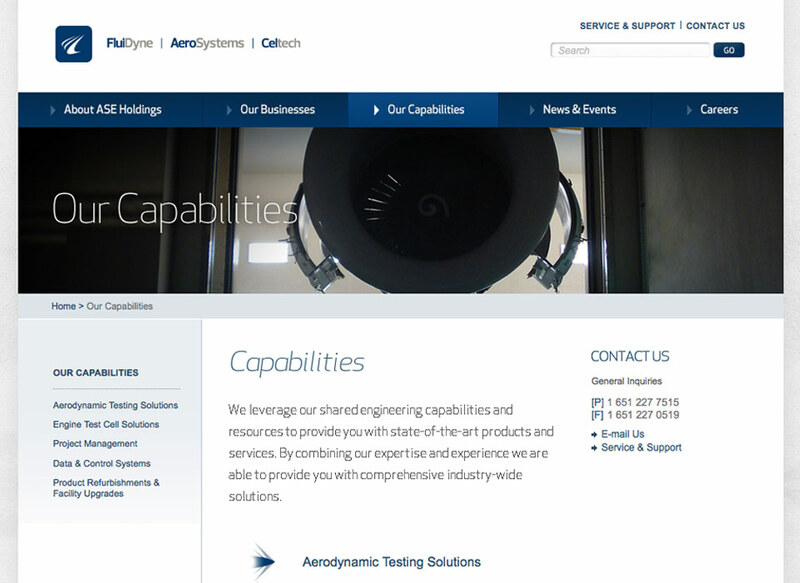 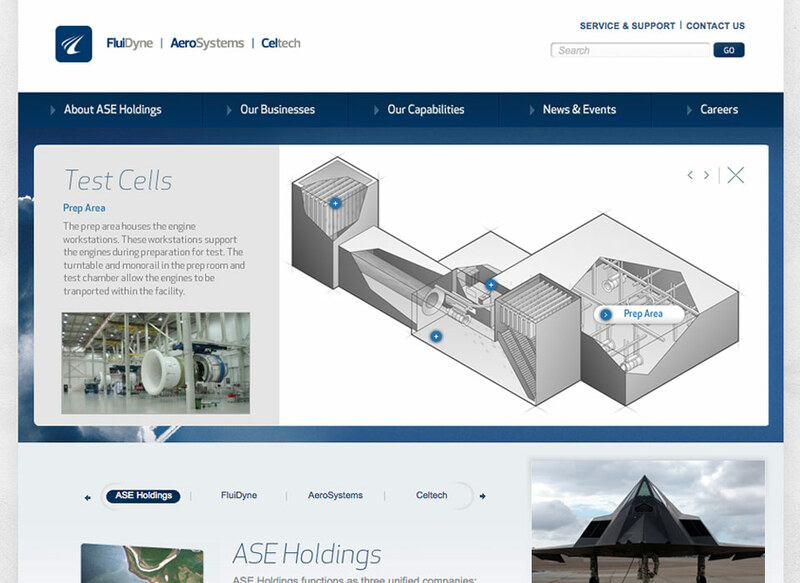 The new website highlights the FluiDyne and AeroSystems divisions and presents the company’s services and capabilities in a rich, clean way. 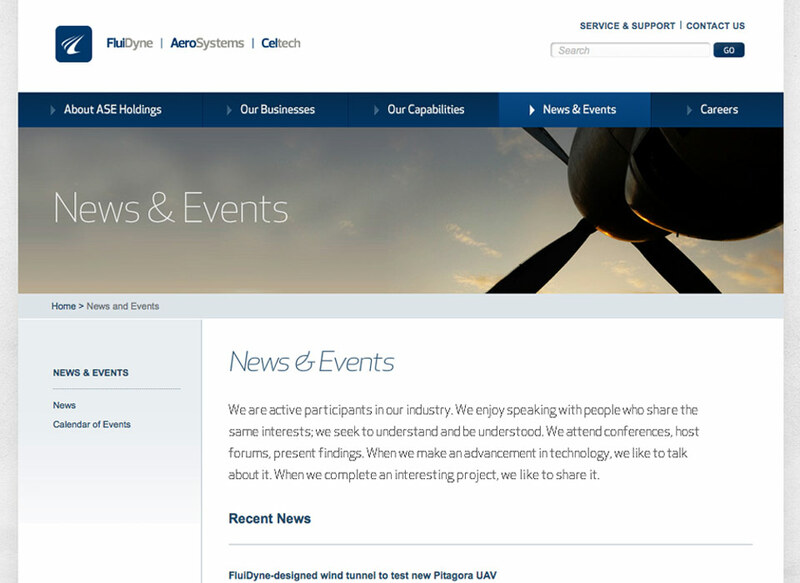 News and events as well as all website content is maintained through a robust content management system.